Yesterday's Shopping - I love the nautical look for spring although it seem to come around every year so can qualify as investment dressing. These are all Ralph Lauren. 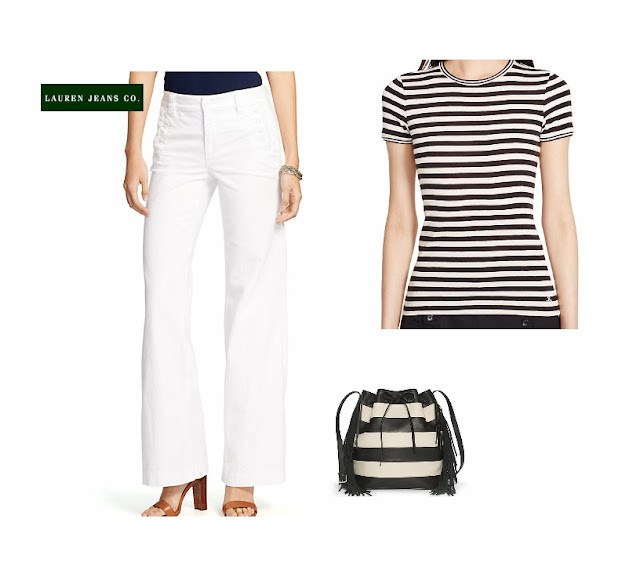 Jeans and t-shiirt from Macys in the Lauren department and the purse from the Lauren Polo Store in Palm Beach. I love the retro wide leg jeans. Although many of us know them as "Bell Bottom". I am sure you can find these items or many like then in most spring collections - Enjoy.